The Traxxas 400 High Torque Metal Gear Waterproof Brushless Servo combines maximum steering authority with a long list of high-performance features. The servo utilizes full metal gears, dual ball bearings, and an aluminum center section for added heat dissipation. A cutting edge brushless motor provides 400 ounce-inches of torque for extreme applications. 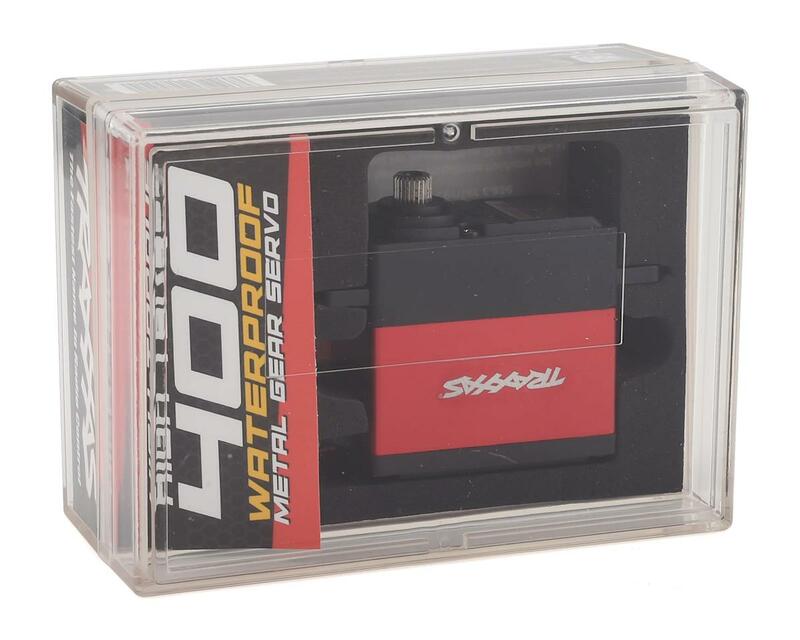 * The High-Torque 400 servo is fully waterproof, not just “water resistant” and drops into most 1/10 Traxxas vehicles for that perfect factory fit. With over 3 times more torque than the standard #2075 servo, the High-Torque 400 provides noticeably faster turning speed and works great with TSM™ equipped vehicles. Traxxas High-Torque servos are the perfect upgrade for high-demand applications like Unlimited Desert Racer, Slash, Stampede, or almost any 1/10 Traxxas vehicle requiring extreme performance. 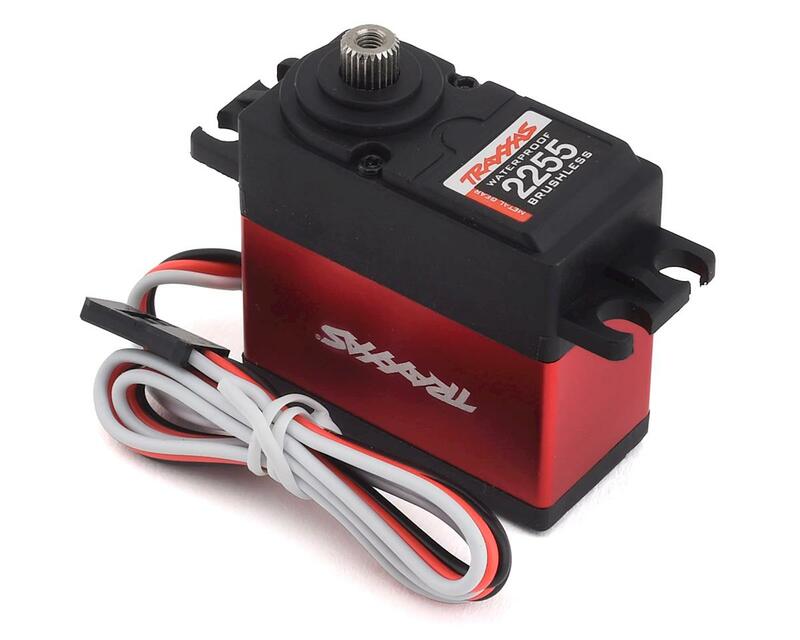 Replace the E-Revo's dual servos with a single #2255 for lighter weight, more torque, and lightning-quick steering response. Elevate your steering performance to the next level with the High-Torque red 400 servo. Traxxas knows the difference between “water resistant” and waterproof. Traxxas High-Torque servos are completely waterproof to give you the freedom to run when you want, where you want. Power through streams and bogs without fear while trucks with “water resistant” servos are stuck on the sidelines. The Traxxas High-Torque 400 Red servo represents a huge power upgrade for the TRX-4. When installing this servo, it is required that you use the High-Voltage BEC kit (TRA2262) and a steel servo horn (TRA8247X) is recommended. Installing the BEC is easy with plug and play simplicity. The kit includes a larger receiver box cover to maintain total waterproof integrity and a Y harness for vehicles with LED light kits.